What mattress size should I opt for? Whilst many believe that bigger is better when it come to beds and mattresses, you should consider who will be sleeping in the bed, as well as any space constraints you might need to work with. Single and queen size beds are too small for most couples, while often a super king can feel too large and isolating. If you do decide to go big, be sure to measure your bedroom to ensure it will fit. You want to be able to walk comfortably around the bed and have easy access to furniture. 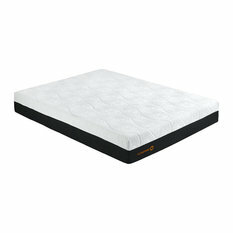 What type of bed mattress should I buy? The most basic option, sprung mattresses have steel coils inside that move as you move, and they come in a variety of soft to firm options. These are often the most affordable option, which is why they are also the most popular. 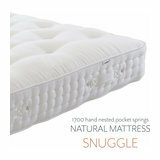 However, innerspring mattresses tend to have the lowest owner satisfaction ratings compared to other mattresses types. Memory foam is growing in popularity and for good reason; they are rated the mostly highly for owner satisfaction. 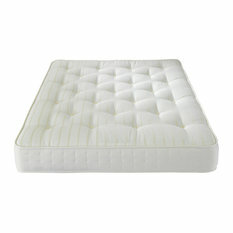 Memory foam mattresses are made of several different layers of foam that moulds to the shape of your body as you sleep. They come in different density levels and absorb movement, which makes them ideal for sleeping with a partner. However, they are often more expensive than spring options. A more eco-friendly and often considered to be a healthier option, latex mattresses are made of rubber and offer firm support, which is great for those with back pain. They keep warm in the winter and cool in the summer, are ideal for those with allergies and have high owner satisfaction – ranking just behind memory foam. 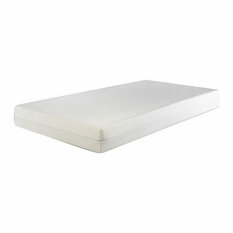 However, since they are more expensive to produce than memory foam, they are also slightly more expensive to buy. What’s the difference between a mattress topper and a mattress protector? A mattress protector (also sometimes called a mattress pad) is a thin layer which is used to protect the mattress and keep your bed looking nice for years to come. It doesn't provide extra padding, though it does offer extra protection against spills and stains. 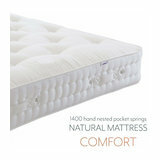 A mattress topper offers more cushion, so you only need one if your current bed is uncomfortable. 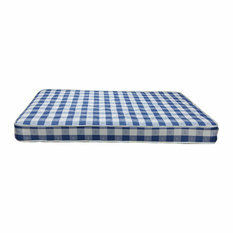 They come in different materials and sizes to suit your bed and your sleeping style. 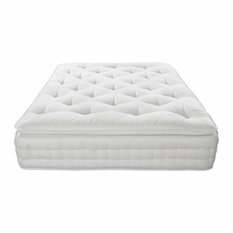 Mattress toppers should be used enhance the comfort of your bed, not give it a new lease of life. If your current mattress is lumpy, old and uncomfortable, it might be time to invest in a new one. Which mattresses are best for back pain? 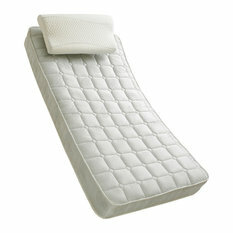 Memory foam and latex mattresses with medium firmness are generally considered to be the best for back pain. However, if you suffer from back pain it’s best to speak to your GP about mattress recommendations, and it’s worth testing a few out to see which mattress is best for your individual circumstances. What mattresses work with adjustable beds? Latex and memory foam mattresses tend to work best with recliner beds due to their flexibility and ability to match the contours of the base. It's also worth keeping in mind that the less flexible the mattress material, the thinner the mattress should be. Regardless of the size and type you opt for, be sure that you invest in a quality mattress to ensure a great night's sleep. 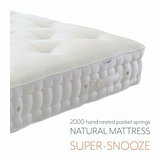 Houzz offers a range of mattresses online, including pocket sprung, open coil, double mattresses and much more.